Under a graduated repayment plan, payment start out low and increase during the course of the repayment period. The payments usually increase every two years. For FFEL and Direct loans that entered repayment on or after July 1, 2006, the loan must be paid over a ten year period. 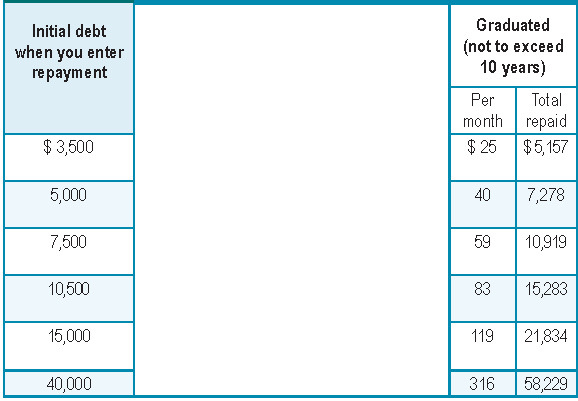 However, if your loan balance is high enough, you can make graduated payments as part of an extended repayment plan. Graduated plans tend to work best for borrowers who are likely to have relatively quick increases in earnings over time.